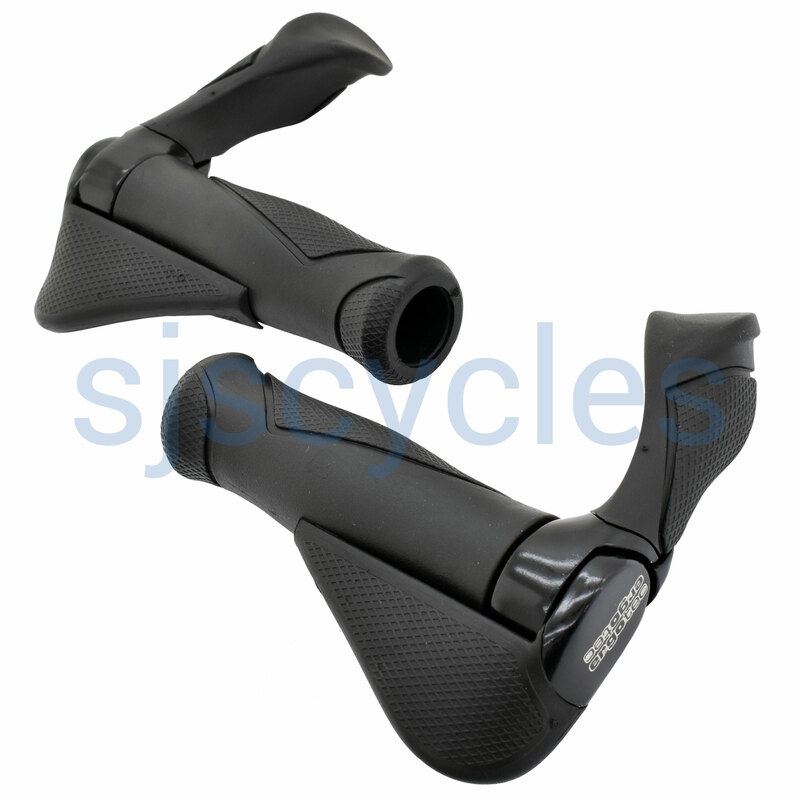 New-generation handlebar grips. The ergotec MultiFlex grips AKS-10 are an absolute global innovation with their individual configuration options, ergonomic shape and outstanding shock-absorption properties. The 3-section design which has been patented by Humpert, makes it possible to customize the grips to the requirements of the user. The MultiFlex grips are available in different lengths, which also make them compatible with grip shifts. Bar ends which are ergonomically-shaped and coated with Kraton are supplied with model AKSB-10. How Long Is The Bar End On The Aksb10 Handlebar Grip? The length of the bar end, measured from the centre of the handlebars to the end of the bar end, on these grips is 95mm.